Since its launch in 2010 (on iOS, natch), Flipboard has been strictly mobile-only. Even after it expanded to Android a couple of years ago, users could only ever view and manage their feeds via a phone or tablet. It made sense: the whole point of Flipboard is that the service reformats stories for easy mobile reading and wraps them in a touch-friendly interface. But all that changes today - you can now read your Flipboard stories and feeds on Flipboard.com. If you really must. To be perfectly honest, there isn't much point to Flipboard on the web. 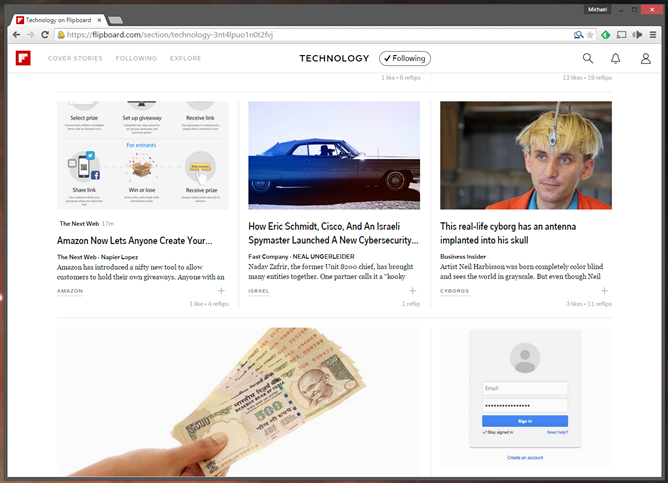 It gives you a magazine-style homepage with formatting that looks like a lot of fancy news aggregators these days. Click on a story and it will take you to the original web page... unlike on the mobile app, which strips out most of the content and reformats it for smaller screens. That's understandable - websites are still formatted primarily for laptops and desktops, at least when viewed on desktop browsers, and stripping out content like advertising on standard web pages is frowned upon. But it does take away a lot of the service's appeal. The only real functionality for the website is keeping your reading lists, categories, and "liked" stories consistent in your Flipboard account. That's handy if you're a constant Flipboard user on a phone or tablet, but if you only use the service in a casual way, there are better ways to see more information more quickly. 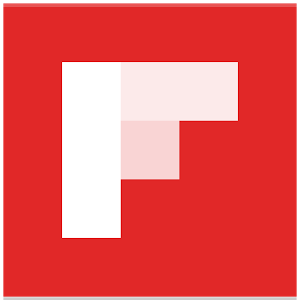 Flipboard remains free, with both Facebook and Google logins available.